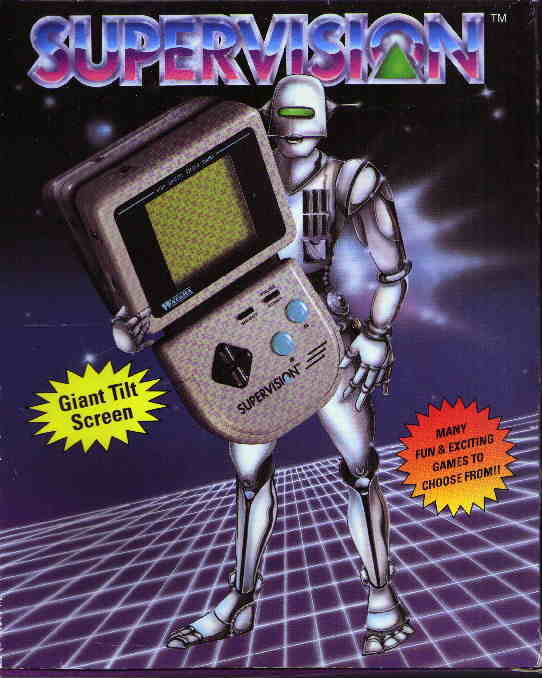 The Supervision was one of the only B/W-only portable systems made few months after the Game Boy. Wataru distributed the system in two different designs. The system was distributed all across Europe where it could be found easily. This was the first version of the system: as far as I know it was sold in France only and it is now pretty rare. Note that it has not a conventional directional cross but only four buttons, one for every direction. Real images on the screen are not at the displayed high quality... BTW the screen is bigger than the average hand held console: 6*6 centimeters! A Supervision cartridge made by Wataru. This is an Arkanoid clone. Note that cartridge connectors are not protected. An ad taken from a French magazine called "Console Plus". If you want to see a much more larger pic of the above mentioned ad, click on it. Front of the box of the second Supervision system. Note that the screen could be inclined to be more easily watched. This version was distributed in most parts of Europe directly by Wataru and was also the only version available in USA. Rear of the same box. 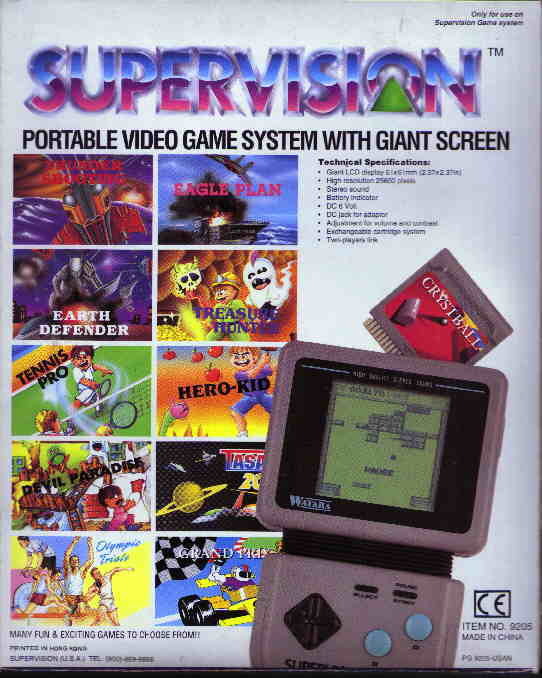 This version of the Supervision had also an adaptor to connect the system to a TV set. Games could then be played on the TV screen with a limited support for colors. The adaptor was very difficult to find and was sold at a very high price tag. These last two pictures were sent to me by Alzarius (webmaster of 3DO Today). Thanks a lot! The only (but excellent) Supervision page available on the net. Check it, it's very interesting!